With the growing demand of changes and development in technology and computing, it is Dell's commitment to serve the needs of its clients. 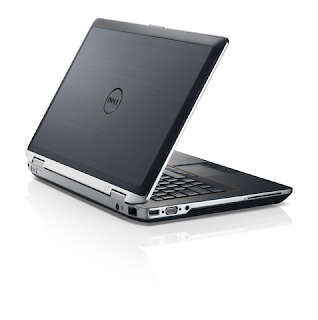 Dell launched 4 new additions to its laptop family: Latitude E, Vostro 3000, XPS 15z and Inspiron R series. This new innovation will give users an enhanced security and mobile experience. The launch event was held at Robot Restaurant & Lounge in Makati City on June 13, 2011. The new Latitude E series model includes more than 100 design improvements and a range of new features to meet evolving business needs, including an increasing demand for security and manageability. The new Latitude E laptops boasts of the following features: (1) Completely new design from the ground up; (2) Enhanced security – Dell Data Protection, Remote Data Delete and Free Fall Sensor to protect against drops; (3) Planned support for pre-integrated Citrix and VMware remote desktop clients; (4) Latitude commonality across 26 models – 1 dock, battery, keyboard footprint; (5) Still the only enterprise platform with backlit keyboard options for productivity anywhere; and, (6) Intel® 2nd generation Core™ processors and new graphics and memory. This is so cool because you don't need to be bothered with a hard disk that stays outside your laptop. It's safe inside. It's easier to just change hard disks based on your needs. This laptop series understands the growing demand of business that require real-time information exchange and connectivity without compromise. 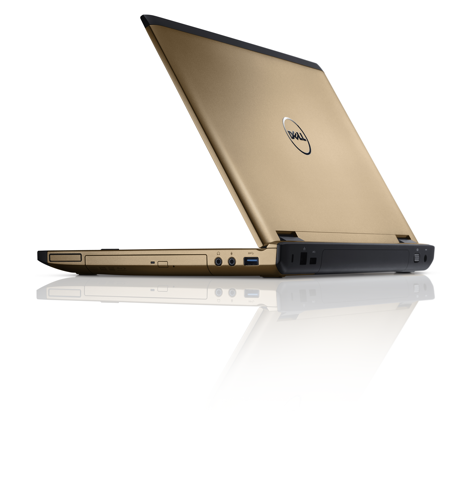 It has 12 hours of battery life on select models and cutting-edge virtual collaboration solutions. Available in 13-, 14-, 15- and 17-inch forms, the Dell Vostro 3000 Series packs the latest Intel® 2nd generation Core™ I Series processors into a sleek design without compromising battery life. For those that demand the ultimate in collaboration, the Vostro 3000 is the first small-business laptop to feature voice enhancing technology SRS Premium Voice Pro software. A full HD webcam offered with the 14-, 15- and 17-inch laptops enables lifelike interactions with clients and colleagues, while a digital array mic helps reduce ambient noise. The new Vostro 3000 laptops boast of the following features: (1) Stylish and durable: A chiclet keyboard, durable aluminum finish and choice of three premium colors – Aberdeen Silver, Lucerne Red and Brisbane Bronze; (2) Enhanced collaboration: Pre-installed Skype and the ability to launch any VoIP or video conferencing application via one customizable dashboard button; (3) Top-notch security options: Back up your business data 10 times faster with super speed USB 3.0, standard built-in finger-print reader and Trend Micro Worry-Free Business Security; (4) Increased productivity: Intel® 2nd generation Core™ I Series processors, switchable graphics, DDR3, USB 3.0, BT 3.0; (5) Businesses can choose their own level of 24x7 IT support with optional Dell ProSupport services. This is one of the thinnest PCs in the market today (less than an inch thick), and the first in a series of new thin and ultra-powerful products from Dell to come out this year. With its uncompromising power and stunning design, the XPS 15z offers 2nd-generation Intel Core i5 and Core i7 processors, optional 15.6-inch Full HD (1080p) display for superior entertainment and web-browsing experiences, a backlit keyboard with adjustable brightness and up to eight (8) hours of battery life. The XPS 15z boasts some of the following features: (1) 2nd generation Intel Core i5 or i7 processors; (2) a brilliant 15.6-inch WLED display with a Full HD option that has almost two times the HD resolution of standard HD displays; (3) NVIDIA graphics with 3DTV play capabilities; (4) built-in WiFi, Bluetooth 3.0, USB 3.0 and a backlit keyboard; (5) it offers ample hard drive storage and a slot-loading DVD +/- RW drive for watching the latest movies or burning music to a disc; (6) Advanced wireless features: the optional Intel Wireless Display feature enables videos and photos to be streamed wirelessly from your XPS 15z to an HDMI-equipped TV. And with the exclusive Dell Stage user interface, it’s easy to access personal content such as music, photos and videos. The new Inspiron R series (14-, 15- and 17-inch laptops) deliver incredible mobile entertainment, high-definition displays and outstanding battery life. It introduces an innovative new design twist: new SWITCH by Design Studio interchangeable lids that switch the look of Inspiron R laptops with just a pop and a click. The SWITCH by Design Studio collection includes 25 new eye-popping lids sporting vibrant colors and unique designs. 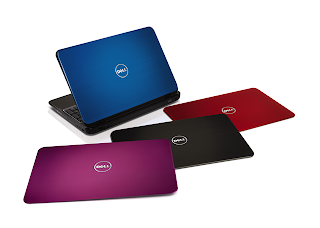 These laptops have the latest 2nd generation Intel Core technology, sleek design, up to 13 hours of battery life on the Inspiron 15R with the optional 9-cell battery and incorporate the latest USB 3.0 technology to make transferring photos, videos, music and other graphics-rich files faster than ever. The laptop lids are carefully selected from Dell Design Studio’s curated collections, the contemporary art and graphic designs available from SWITCH by Design Studio. People from the media, the PR group + Dell officers serenaded the audience with powerful rock songs. of Dominguez Marketing Communications, Inc.